A quick trip up the road this morning and we had a truckload of red cedar to begin finishing the hull with. Since we aren’t able to buy boards that are long enough to cover the length of the hull, we will scarf together pieces that we will then bend around the frames in the hull. Before putting together our cedar, we are going around and gluing in some more pieces to the chine where we have low spots and poor pieces of sap wood. 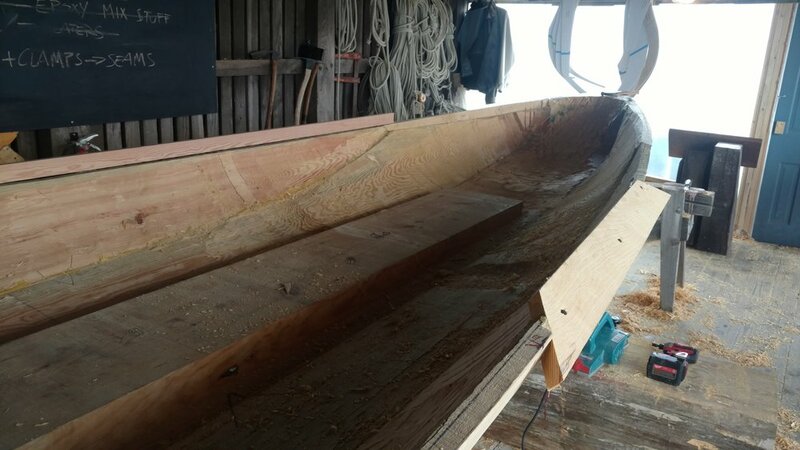 We glued in one more dutchman today and started to lay a batten around the rest of the chine to determine where we will be putting our sheer planks. 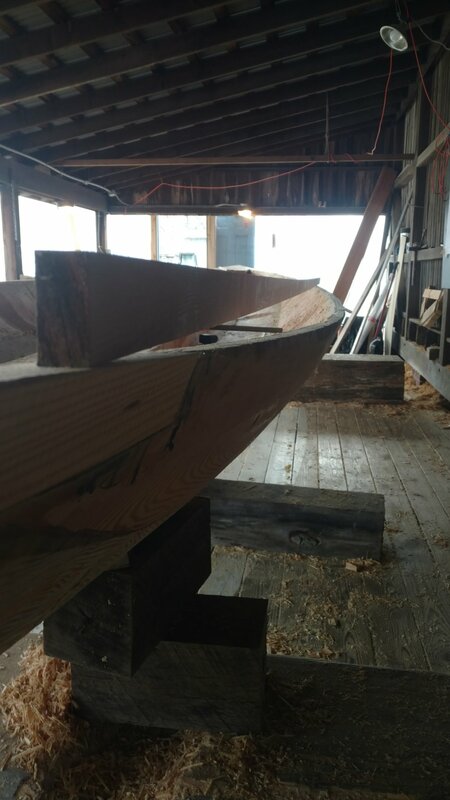 Once work is done on our chine tomorrow, we will lay out our interior frames and build our stem and stern posts where the ends of the cedar will attach.